Do you love chicken enchiladas as much as we do? Here’s one of our favorite chicken enchiladas recipes! These enchiladas can work for an easy mid-week meal and can even be made ahead. To make them, you first dip the tortillas in red chili enchilada sauce before rolling them up into enchiladas. This way the tortillas all get well coated with the sauce, and when you bake the enchiladas, the sauce will bake into the tortillas to infuse them with flavor. Always soften tortillas first before attempting to roll them into enchiladas. If you are avoiding fat, you can soften the tortillas in a microwave, but I recommend lightly frying the tortillas in a little oil because the flavor will be so much better. We give an approach below on how to stack the tortillas while frying them to help distribute the oil so only a small amount is needed for each tortilla. Pick sturdy yellow corn tortillas when you make enchiladas. White corn tortillas work well for making soft-shelled tacos, but they tend to fall apart when you soften them and dip them in the sauce for an enchilada recipe. Yellow corn tortillas are sturdier, hold up better for making this casserole, and have more flavor. If making homemade enchilada sauce, simmer the sauce first. Heating the chili powders and cayenne in a little oil first will help release the flavor of the chiles. Garnish the chicken enchiladas with plenty of chopped red onion, fresh cilantro, shredded iceberg lettuce, sour cream, and guacamole. Serve with a side of Spanish Rice or Cilantro Rice as well as Refried Pinto Beans or Black Beans. Chill the enchiladas in the refrigerator if making a day or two ahead, or freeze for up to a month (thaw in the fridge before heating). Leftovers can be easily reheated. We love having leftover enchiladas for breakfast. Updated January 15, 2019 : We spiffed up this post to make it sparkle! No changes to the original recipe. If you don't have leftover chicken on hand for this recipe, poach a few chicken breasts or thighs using this method. 1 Prepare the enchilada sauce: (if making homemade, otherwise use canned and skip to the next step). Heat the oil in a sauce pan on medium high heat. Stir in the chili powder and cayenne. Let cook only for half a minute (if longer the chili will burn), and add the water and tomato paste. Whisk until smooth. Add the garlic powder, onion powder, cumin, oregano, salt, and cornstarch slurry. Let come to a simmer and remove from heat. Taste for heat. If you want it spicier, add more chili powder or cayenne. Note that the tortillas and chicken will absorb some of the heat, so allow for that and let it be a little bit spicier than what you want in the finished dish. 2 Mix in 1/4 cup of the sauce with the cooked chicken. Set aside. 3 Prepare the tortillas: Traditionally, one would dip the tortillas in some sauce and then lightly fry them in a little oil, and then roll them up. It's a great way to infuse the tortillas with the chili sauce, but it's really messy and many tortillas are not sturdy enough to handle this treatment without falling apart. So, instead, we soften the corn tortillas first, and then dip them in the sauce before rolling them. To soften them, and give them a little flavor from browning, I'll show you my mother's method for cooking the tortillas without using a lot of fat. Heat a tablespoon of oil (a high smoke point oil is preferred such as peanut oil, canola oil, or rice bran oil) in a small saucepan to coat the pan. Place a tortilla in the skillet and heat for a few seconds, until the tortilla begin to show some air bubbles. Use a metal spatula to flip to the other side for a few more seconds. Then add another tortilla on top of the first to soak up some of the excess oil. Flip them both together and add yet another tortilla. Keep adding them wherever there seems to be some excess oil. The idea is to heat the tortillas and soften them with the minimum amount of oil. As the tortillas become soft and heated, remove them to a paper towel to soak up even more excess oil. When you find you need more oil in the pan, add it. 4 Assemble the enchiladas: Preheat the oven to 350°F. 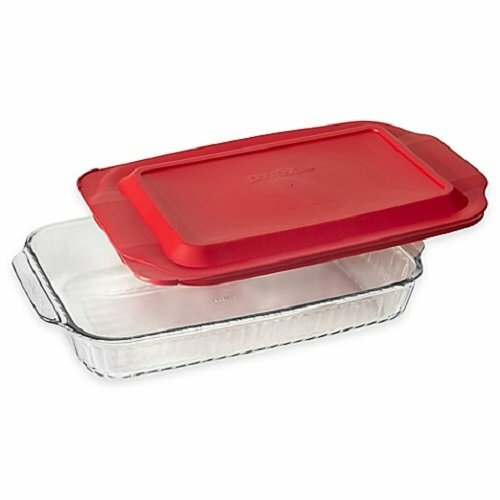 One by one, dip a tortilla in the enchilada sauce and place in a 9x13 Pyrex baking dish. Place 2 to 3 tablespoons of chopped chicken in each tortilla. Sprinkle with a little cheese. Roll up the tortilla. Place in the baking dish and repeat until all dozen of your tortillas are neatly placed in rows in the casserole dish. Cover the tortillas rolls with the remaining sauce. Sprinkle with the remaining grated cheese. 5 Bake: Place in the oven and bake at 350°F for 10 minutes, or until cheese is bubbly. Serve with thinly sliced iceberg lettuce that has been seasoned with vinegar and salt (no oil), chopped red onions that have soaked for at least half an hour in vinegar and water, guacamole or avocado slices, and sour cream. Garnish with cilantro. Hello! All photos and content are copyright protected. Please do not use our photos without prior written permission. If you wish to republish this recipe, please rewrite the recipe in your own unique words and link back to Red Chili Chicken Enchiladas on Simply Recipes. Thank you! Why oh why are you using dried chili powder when making it with real, dried chilis is soooo easy and taste so much better? Hi J, good question! I’m using dried chili powder because it is much more accessible, practically every major grocery store in the country carries is. You can of course use whole dried chilis if you want. Here’s our recipe for a red chili sauce using dried ancho or pasilla chilies: https://www.simplyrecipes.com/recipes/mexican_red_chili_sauce/. I have found though that sometimes the chili sauce made from straight dried chilies can be a bit bitter. Dried chili powder in the market has more variety of chilies in it, and other seasonings in it as well, and is a milder, more consistent product. This is my “go to” enchilada recipe. (much like many of the recipes on your site!) It’s super simple and so delicious! I make this with your Mom’s spanish rice. So good! Thank you!! Can you stack them on top of each other if you want to make bigger batch? Can you use a aluminum pan? Hi Nelson, yes you can stack them, though you may need to keep them in the oven longer. I haven’t tried using an aluminum pan for these. Generally I don’t use aluminum pans when you are dealing with a sauce that has an acidic element, like tomato, because the aluminum in the pan can leach into the sauce and affect the taste. That said, lots of people use aluminum pans for lasagna without an issue, so sure, why not? Just made this for dinner tonight and it is really delicious! Will be using that marinade recipe again and again! Great flavor and just so delicious! Thanks for sharing! Hi Byron, we have a product here in the states that is called Chili Powder, that is essentially ground up Mexican pasilla chiles. And maybe some other varieties of Mexican chiles. It’s pretty mild, especially compared to something like cayenne, which is also a powdered chili, but very hot. To make a Mexican chili sauce for enchiladas, you really need the Mexican chiles (chili powder) or else you won’t have the right flavor. That said, if you have a chili powder you like and you want to try to make the sauce with it anyway, just start with a small amount, and add more to the point that you like it. Thanks! There are a lot of spices here called chili powder, but, in most cases, 5 Tbsp would be hotter than Tabasco sauce. I did try what you mentioned, just a bit at a time…but it still didn’t taste right. I’ll keep trying and, once again, thanks for your input. Elise, I have watched your blog for years and really enjoyed your food. I’ve made several of the dishes to rave reviews. I used to pull up this recipe for enchiladas and make them often. A few years ago, I noticed the recipe changed. I tried it, but we didn’t like it nearly as much as the original – canned fire-roasted tomatoes, sugar, water, etc. I have tried to make the old version, but my memory of it has gotten fuzzy. Do you still have the old recipe somewhere on here? Very nice job presenting and explaining your family’s process for making chicken enchiladas. These enchiladas were easy to make and exceptionally delicious. Hubby and I are definitely going to make these again. Thank you for the easy to follow directions. Thanks MJ, I’m so glad you liked them! You are very welcome Vanessa, I’m so glad you like it!! Thank you for this! I was married to a Mexican, but never took the time to watch her make these. Been looking for an easier way to soften them, this worked great! Since stumbling on your site and making these, it’s now a weekly staple. I recently served them to guests and someone proclaimed that they tasted JUST like enchiladas from their favorite Mexican restaurant (that no longer exists). So I’ve passed on the recipe. I use whole wheat tortillas instead of corn (that are just rolled with no prep required which makes it a super quick recipe) but would imagine an even more authentic flavor with the corn. Very fresh, healthy, delicious dish and your pictures also very helpful. Thank you for sharing! I made these last night. They were soooo good! Instead of using chili powder, I blended up a couple chipotle peppers (from a can) with the tomatoes. Oh and I did the dunking tortillas in sauce method, but instead of frying, I stacked them all on a plate after dunking and microwaved them for 30 seconds. It worked really well. OMG! LOVE IT. I will make this over and over again, but had no idea how to even go about making enchiladas without your well laid out plan. And of course, keeping it fresh. Thanks again. Always Deb. Fantastic recipe- utterly delicious. Thanks! Oh my heck never made enchiladas in my life and it’s been years since my mom has made them. This recipe is sooooo good! To who ever is reading this recipe… you have to try it. Thank you!!! I have made many recipes from this site, I really like them all, but this one is a favorite. Whenever I make them for company, they are a huge hit. I add spanish rice (from this site) and home cooked black beans as side dishes. For these enchiladas I prefer the original, high fat method of tortilla frying. First time trying cooking enchiladas; added a few things I had, and left out a few I didn’t. One thing I tried worked out great, grated about 1.5 oz. of unsweetened super-dark chocolate (85% cacao) into the sauce near the end – just enough to taste, but adds to the richness of the flavor a lot. Anyway, came out really excellent. Didn’t have Chile powder as such, but toasted some Anaheim and New Mexico peppers and ground them, that worked well, too. Thanks for the recipe!